I want to emphasize the active verb here, bicycling. I am not talking about the device, even though it is undisputable that you cannot engage in bicycling without a bicycle. But the physical device is not the key, it is the behavior that is the key. It is the shared decision to embrace this behavior that is the key to deeper changes. But let’s also admit that the transformations that bicycling is the key to unlocking often fall short and too often are co-opted into very narrow channels that ensure that bicycling does not lead to any real changes in the surrounding society. In my city of San Francisco and increasingly in other U.S. cities, bicycling advocates have accepted political support from real estate developers who see higher profits in building housing for younger workers that reject car culture (relieving the developers of having to spend money on accommodating automobiles in expensive parking garages). Bicycle advocates in San Francisco, New York, Memphis Tennessee and other cities have turned a blind eye to the resulting displacement of working class communities and people of color that big real estate developments have caused as long as they also included new bicycle infrastructure. Unfortunately many of cycling’s most earnest and well-meaning advocates have tunnel vision, seeing only support for bicycling as the issue. This produces a weird “arms race” for funding and attention at the expense of other issues, and fails to recognize the way bicycling has become co-opted by wealthy interests to reinforce their own power and money. In my opinion, bicycling is only an interesting activity worth promoting if it leads to bigger changes than merely getting more people on bicycles. After all, there are cities in the world such as Copenhagen and Amsterdam where nearly half the population use bicycles regularly for transportation, and these are hardly utopian cities that have escaped the darker realities facing people across the world. It’s great to have fewer cars and many more bicyclists, but not if the society they are bicycling around in is still one based on the same logic as the one that made cars seem so normal for so long. The problems we face are far greater than what kind of vehicle we use to move from place to place—even if the choice we make about vehicles is ONE important decision among dozens that we face as individuals. Bicycling fails its potential as a key to unlocking crucial and urgent political and social change if it allows itself to be about merely bicycling. I don’t really care about derailleurs or brake pads or what color or brand your bicycle is, whether you like racing bikes, mountain bikes, or folding bikes. It is not interesting. These are the easy and acceptable obsessions of a consumer society. Your ability to act in the world is channeled into deciding how to spend money. Buy the good products, don’t buy the bad ones, and you are doing your part. This is wrong. By accepting the logic of a consumer society, in which your political agency is limited to shopping choices, you lose the ability to change how we live, to change what kind of world we make together everyday with our labor, our activity. Bicycling, luckily, can be about a lot more than just buying the latest gear. 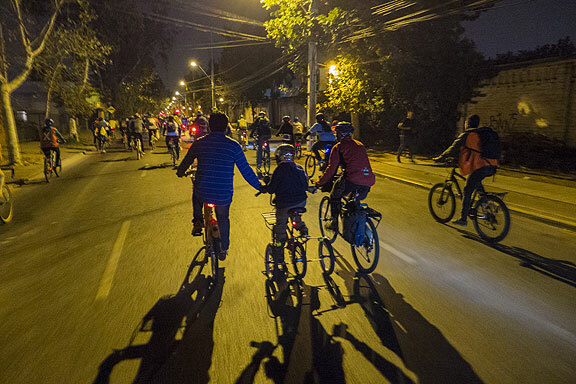 And it can be about a lot more than just getting some stripes painted on a busy boulevard, or even new bike highways crisscrossing a country as some places are now planning. Because if we all got up across the planet tomorrow and bicycled instead of going in cars, while it would be a good step in the right direction, we would still be bicycling to jobs that are producing the world we live in now. We would still be going to banks, advertising agencies, and real estate offices, buying and selling people’s homes, manipulating currencies, promulgating propaganda for politicians and products; vast military budgets would go on being spent to control populations and territories and to make war; borders would still block the free movement of people while allowing toothpaste, tennis shoes, wheat, and wood to cross the earth, burning fossil fuels along the way. We cannot shop our way to a sensible world. We have to make it, and we have to make it together. When we choose to move through cities on bicycles it’s clearly a better choice than using automobiles most of the time—for us as individuals, and for the larger society we live in. Bicycling is doing, it is an active production of movement and as such is a key part of redesigning life. 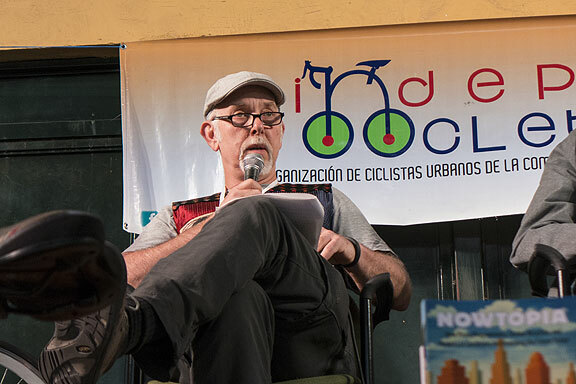 But politically and philosophically we have to connect the activity of bicycling to the activity of reinventing life. If we learn to move around differently by bicycling we also have to learn how to use water differently, produce and distribute food differently, build and share safe and adequate housing for everyone on earth differently. 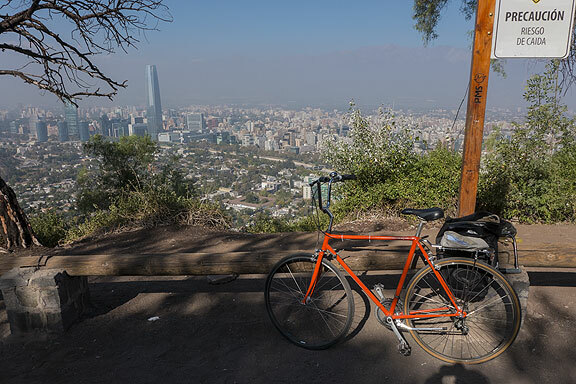 We have to connect bicycling’s rebellious meaning to plans to make sure free communications and free transportation are inviolable human rights alongside food, water, and shelter. Bicycling is the key to opening a much more complicated conversation about how different life could be. Riding our bikes is so simple and such a pleasure. That shared, familiar pleasure is a great place to start thinking critically about the choices we make about much more than merely how we get around. Bicycling, at its best, should challenge us to change not just how we get from point A to point B, but what we do at point A and what we do at point B. It should help us to ask why we do those things, who decides what is worth doing, how could we make those decisions together—that is, what is democracy now?—and who benefits from the choices we make? Bicycling can unlock much more interesting questions with much more interesting answers than we might think at first thought. Congratulations to the organizers who spent so much time and energy to bring us together. 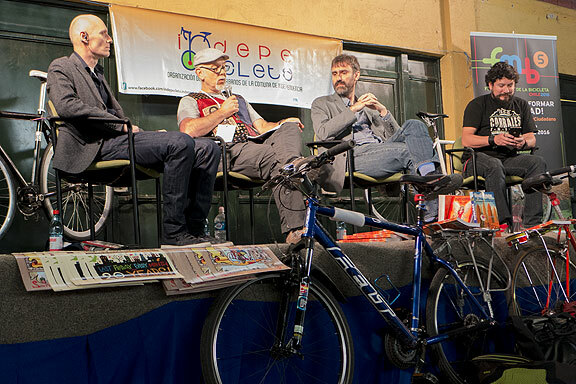 Let us honor their effort by using our enthusiasm for bicycling to unlock a social movement worthy of our time, one commensurate with the enormous challenges facing humanity and the planet. For a politics without easy answers! 1 comment to If Bicycling is the Key, What Does it Unlock? The early CM Bike Rides were magical. They all were. They opened up the possibilities for a Car Free Future. Who could have predicted that such forethought would result in an international movement to make streets safer for pedestrians, bicyclists, and the disabled, of all ages? It was my first experience with an “intentional community” on wheels. I thought it was about having fun. The radical nature of taking physical ownership of The Commons and other cherished Public Spaces was not something that I could have easily verbalized. But with the phenomenal growth of Critical Mass through the nineties, you couldn’t help but feel what was happening and growing with each passing year. Chris, it is always a pleasure to read your excellent commentaries. Thanks for your hard work, compassion and commitment.